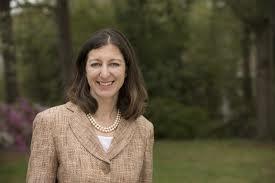 I was star-struck by Democratic candidate Elaine Luria way back on January 30. She was already turning heads as an ex-Navy commander running as the insurgent in a military-heavy district. Since then, she's continued and built a credible and effective campaign against a first-term Republican, Congressman Scott Taylor, a swaggering ex-Navy Seal who should have the seat sewn up by now. But no. Taylor has been implicated in an election-tampering scandal that's dragging him down.